December Shayari is a beautiful category of Urdu poetry that is all about the December. 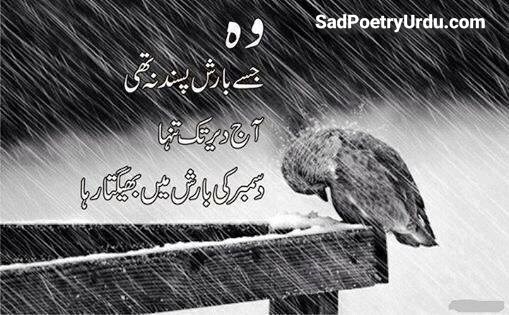 If you read and share the best December Urdu Sad Poetry pics then you will be the right post. Here is the best place to getting your emotions that truly express your feelings. 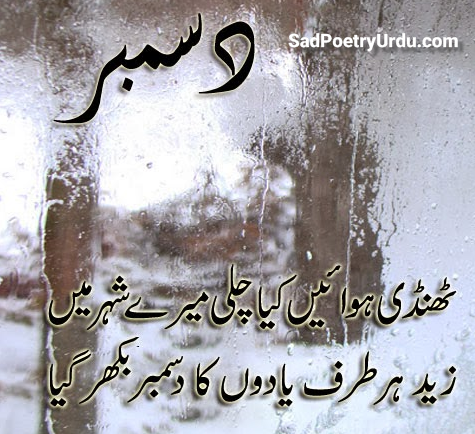 The last month of the year is the most popular to sharing the December poetry 2 lines on social networks. So pick an image from following images and show what are you feeling in this coldest December. 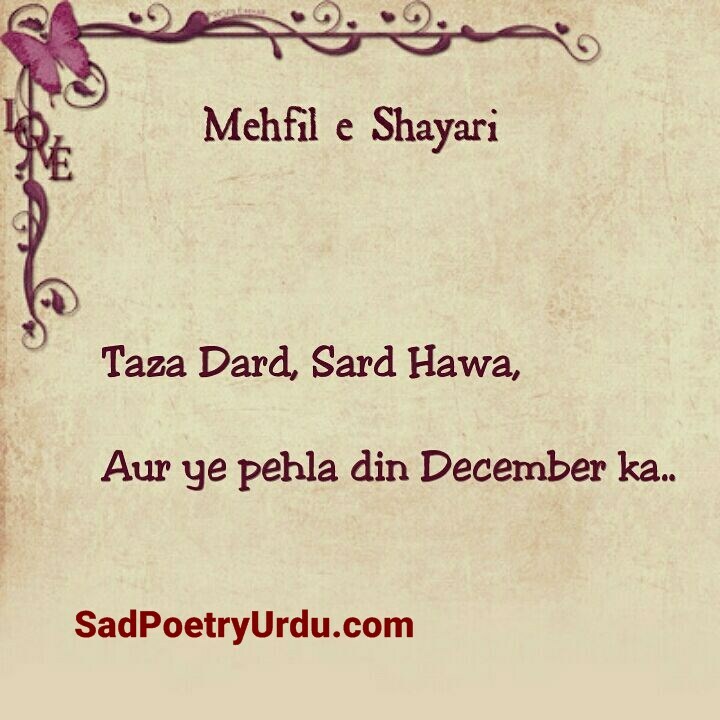 Share the best images about December poetry and Sad December Urdu Poetry in 2 Lines. 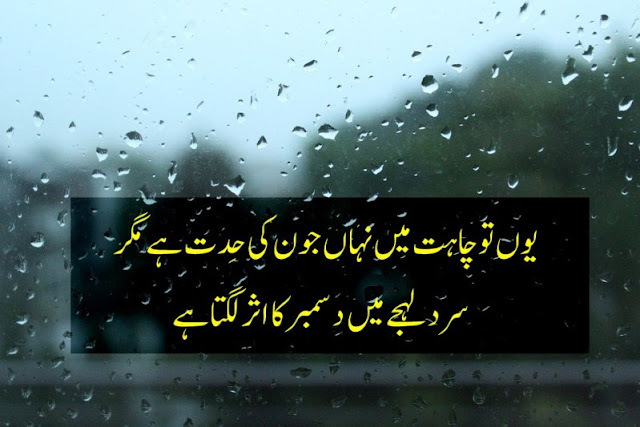 Get free images of Sad December Urdu December Shayari Pics and Wallpapers. 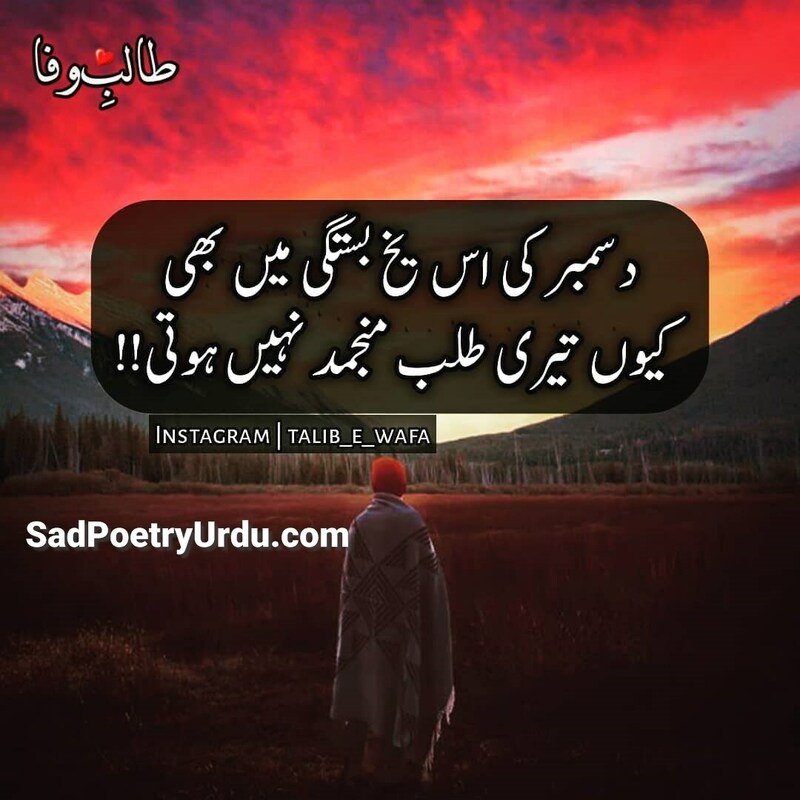 Tapish Koi, Na Lehjy Mein Koi Garmi.!! 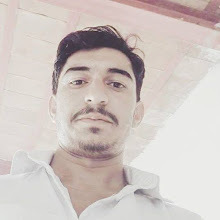 Aankh Mein Aansoo Nahin Par Rulata Hai Bohut..!! 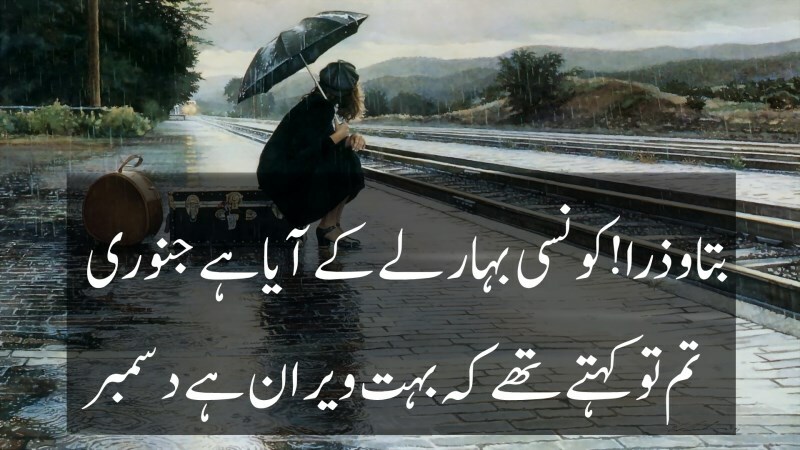 Woh December Har December Yaad Aata Hai Bohut..!! 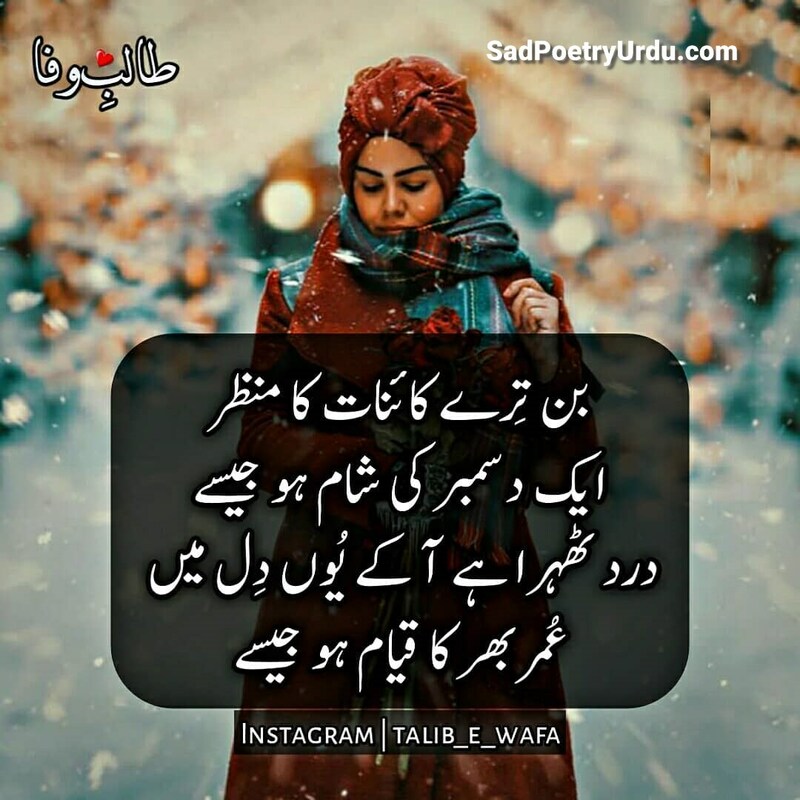 Phir Se Ankhon Mein Terey Khawab Na Aa Jain..
Is Shehr K Basny Walon Mein Hr Shakhs December Lagta Hai..
Har Taraf Yaadon Ka DECEMBER Bikhar Gaya..! DECEMBER Mein Tumhain Meri Shararat Yaad Aye Gi..
MOHSIN Hijar Ke Maron Pe Qayamat Hai DECEMBER..!!. Kiyon Teri Talab Munjamid Nahin Hoti....! !